The Branded Chocolate Box is both pretty and delicious. The ultimate reward for staff if you are looking for value for money. If you want a highly effective product that will take your event miles for your next promotion, then have a look at the custom branded chocolate box. 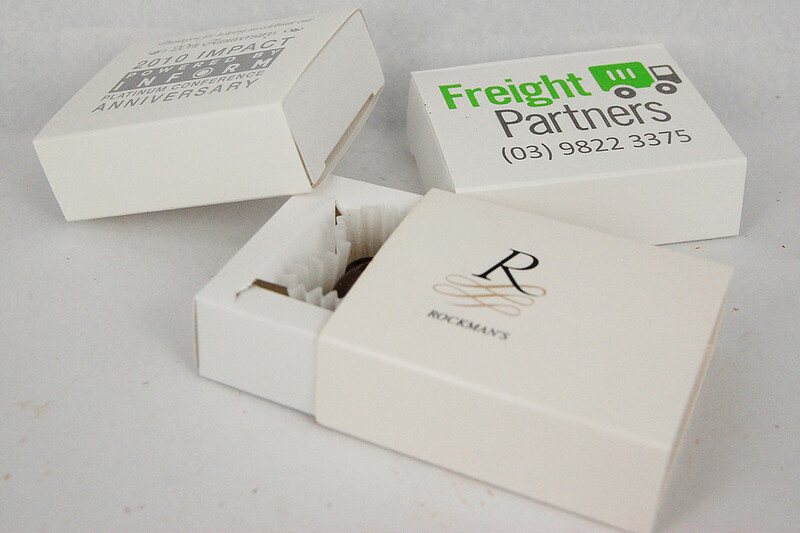 The promotional branded chocolate box is a great medium for carrying your event design. And because it has delicious chocolate treats inside, it’s guaranteed to be an instant hit to everyone and will surely leave your recipients with a very positive impression about your memorable occasion. Your brand is sure to reach new heights when you have your custom design printed on the custom branded chocolate box. You can make a special greeting for the holidays. Or maybe put a short message and give them to certain people whom you want to give a special commendation to. A personalised message will certainly go a long way. At that next trade show, have your company logo printed as a way to introduce your company to attendees. 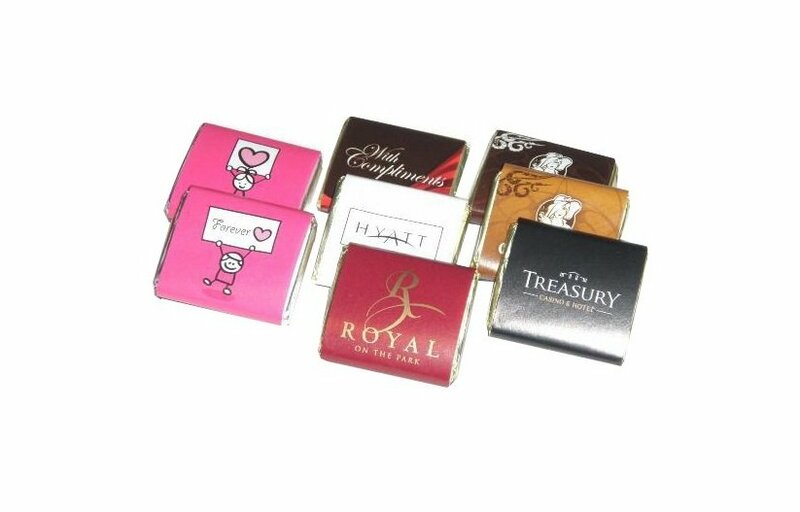 Everyone will be wowed once they receive these promotional branded chocolate boxes. And when they get to taste them, they’re going to be even more impressed. Inside each box are seriously great tasting chocolate treats. These chocolates are made with very high quality and will never disappoint even the most avid chocolate fan. Have the personalized branded chocolate box for your next event and you’re sure to win plenty of new clients. 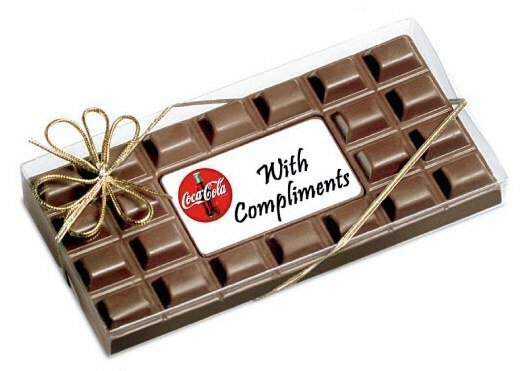 We have other fantastic products on our website that you should check out like the Branded Chocolate Bar, and the Branded Chocolate Gift Bar. All our products are made with the best quality and come at very favourable pricing schemes. Make your gift-giving special with our customizable Branded Chocolate Box. Your designs will be showcased to best effect with this giveaway! For a trendier touch, try our Floral Brim Polo Bucket Hat and our colourful promotional hats and headwear. Have questions or inquiries? Our customer service staff can be reached via our hotline number, 1300 008 300. Or give us a buzz and we can do live chat. Talk to us and let us know how we can be able to help you out. We’d be happy to hear from you soon.